Work requires focus and attention whether you are tracking your tasks from home or office. Unfortunately, in both cases it is easy to get distracted with your environment: a notification or a call might be enough to lose concentration. To keep yourself focused and create the unbroken workflow, you need to empower yourself with the right tools. Let’s look at some applications which will guarantee to ease your workload and make your working day neat and smooth. Communication is of utmost importance within the workforce of any organization. On a daily basis, you need to communicate with coworkers, superiors, subordinates, clients. Troop Messenger for team communication will bring all the participants to one place to enable business communication with a click. 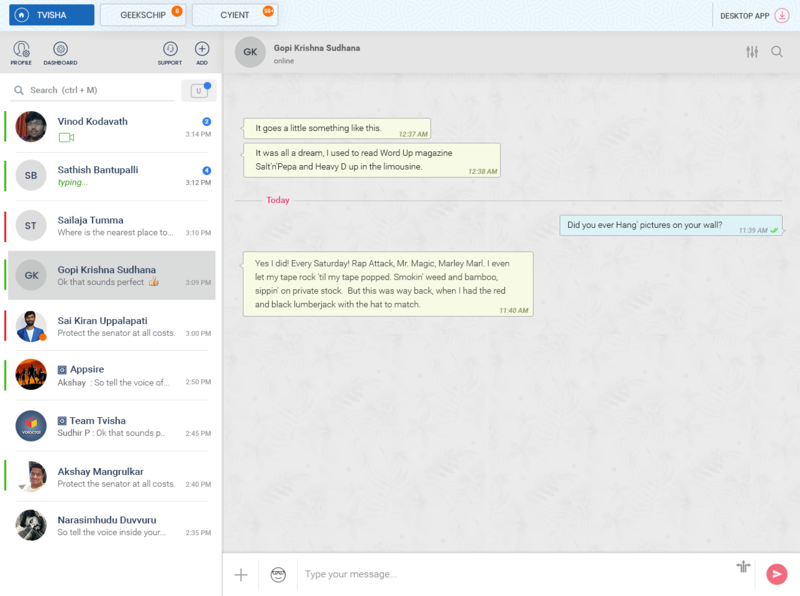 Troop messenger provides instant messaging, video conferencing, file and desktop sharing. Its rich feature set makes it a full-fledged Slack alternative. Working cross-platform, it enables instant communication and functions efficiently in any kind of work environment and business of any size. Pricing: Free, until March 2019. After that plans at $0, $1, and $5 per month with varying access to the features. Usage Analytics, and much more. Integration: Allows third-party app integration from the Troop Store. Design: Troop Messenger has been designed as an alternative to office communication via audio and video calls. The admins can add as many members as pricing plan allows. Supported Platforms: Android and iOS platforms as well as Windows, Mac, and Linux platforms for web applications. It is crucial that you have a proper work schedule on a daily, weekly and project basis and follow it. A time tracking software allows you to monitor the time that you spend on each task so that you can plan your work professionally. TMetric precision in terms of work time calculations makes it the best tool for monitoring your team performance. TMetric enables time reporting and billing for various projects. 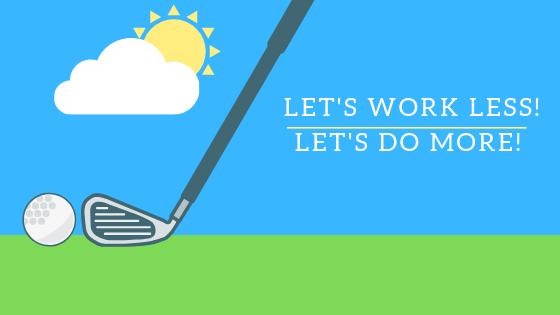 It helps you analyze your workday to allocate time for achieving better results. TMetric has three plans: Free, Professional $4 per month and Business $6 per month. The plans vary in access to the various features and the price depends on the team size. Integration: Integrations with third-party apps such as Asana, Trello, Todoist, JIRA, and many more. Supported Platforms: Android, iOS, Windows, Linux, Mac Os. The first step in creating a smooth workflow is to prioritize all the tasks for you and your team. 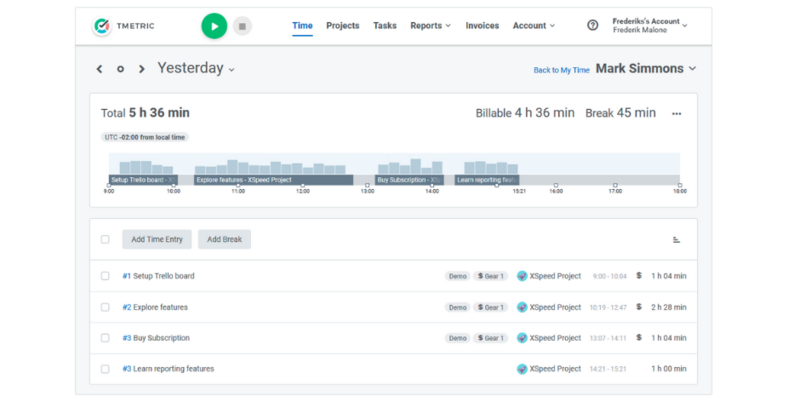 Our absolute favorite is Asana that keeps a leading position on the market of project management tools for over a decade. 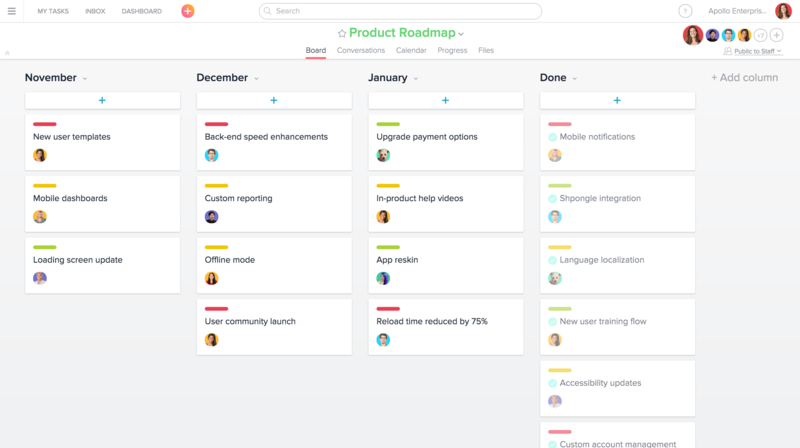 Asana helps you stay on track at every stage of your project and align the goals of multiple participants. By mapping out the detailed product roadmap, your team does not perceive deadlines as a challenge. Portfolio Management and several other features. Easy integration with more than 100 third-party apps such as Outlook, Dropbox, Google apps, and many more. You can easily create new projects, organize a plan of your tasks and visualize them as a list or board on a timeline or calendar. Asana is designed in a manner to simplify organization and prioritization of different projects. You have the option to create projects and group them into portfolios as well as many other options to help your project management. 100 MB for individual files, however, the data can be easily uploaded and accessed from third-party storage apps like Google Drive, Dropbox, etc. Mobile applications for Android, iOS platforms and Web applications for Mac and Windows. Last but not least is the tool that maintains the employees' well being. Coping with stress at work is one of the challenges all of us have to face. The best tool for stress management we are eager to recommend is Smiling Mind app. 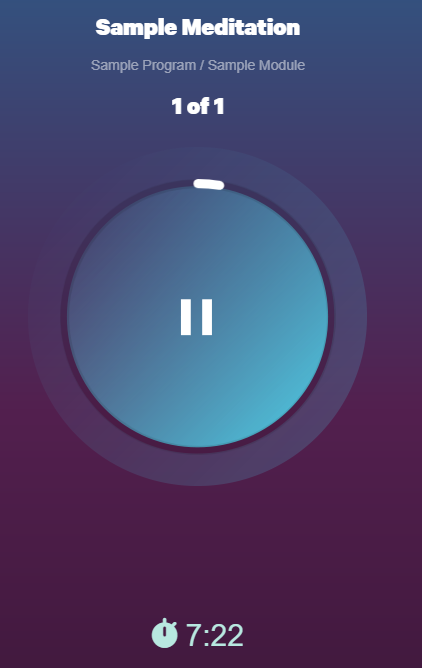 It is a free application which brings mindfulness practice to a new level. Upon creating an account, you will be able to navigate among lots of options for picking the tailored session. Applying this app, you can easily manage work-related stress, improve performance and increase concentration. 6-week courses, and many more. It is very easy to use as it was initially developed to help children. Design is very user-friendly. The app groups similar courses together and allows users to browse them depending on their individual needs. By using the short-listed tools, you would be able to enhance your efficiency. 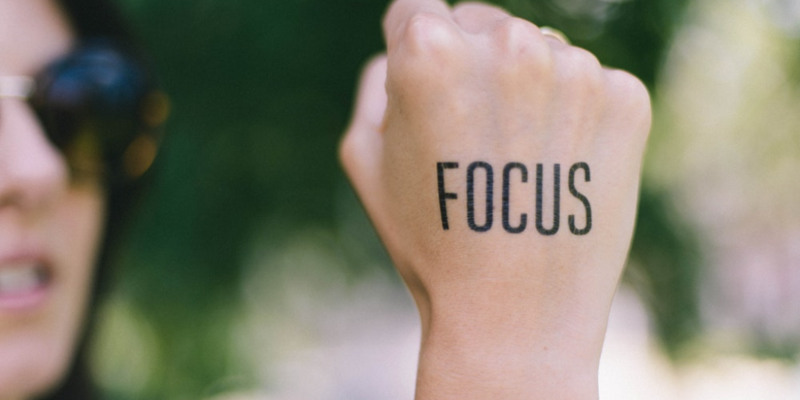 Additionally, there are tips to consider for improving your focus abilities. You can limit the distractions if you allocate specific time on checking notifications on emails or social media. Plan your day and tasks and chunk them into smaller and manageable blocks. It helps set realistic goals, thereby, reduce your stress and allow you to keep focus. Be consistent about the workspace. Whether it is a co-working cafe or the regular office, you need to remember about the 'desk comfort': with all the software you can keep your work area zero-cluttered. Cultivate habits that will repay in the long run. Decide on work ritual you want to follow as sticking to routine makes a positive impact on your productivity. Do not underestimate the importance of quality time you must give yourself over the weekends and days off. To unplug for keeping work-life balance is as useful as to take efforts while performing a challenging task. The recommended tools and tips will help you work more efficiently and increase business productivity with minimal investments. Analyze your work day to come up with the best plan tailored to your needs as it is a sure way to achieve both short and long term goals. Stay always on track, it will ignite the intensive focus and turn your efforts into achievements. Working less while completing more seems miraculous. But it is possible. We are telling you of 10 legit ways to work less and achieve more.